I saw Sumner Crane as the savant of no wave. He didn't seem to be chasing rock stardom or a Soho art career. Mars terrorized lower Manhattan for about two years, committing 32 minutes of themselves to tape for the ages. 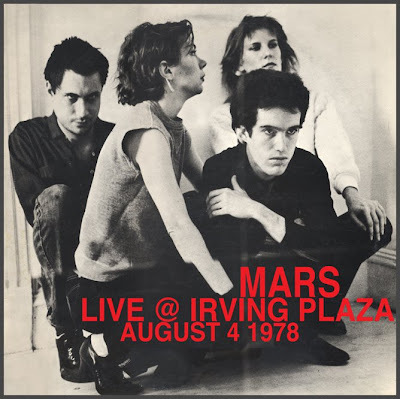 Bassist Mark Cunningham writes in his liner notes to Mars - The Complete Studio Recordings: NYC 1977-1978 (G3G/Spooky Sound), "As Sumner once described it, it was a regression from ten to one, and so we reached an end." Crane, who died in 2003, told me he started listening to jazz as a kid, and that jazz, cool or chaotic, always felt like something humans had built piece by piece - the drums go here, this part is added to that. But his first encounter with Jerry Lee Lewis left him dumbfounded and disoriented. Here was something that seemed to have arrived fully formed from outer space. Mars were an alien force as well, with mangled pop hooks and gallows humor percolating through a stumbling, relentless urban squall. I got to see them once, at Max's Kansas City December '78, which seems to have been their final show. Clearly they had completed the mission and were moving on, with Crane spending much of the set blowing a battered trumpet from a battered chair. First album by another great Guinean regional orchestra, this one made up of Camp Boiro prison guards. 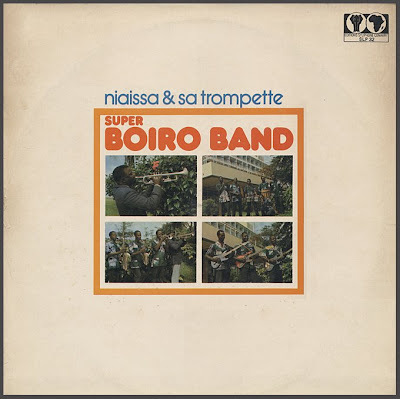 Since Super Boiro were not releasing singles at this point, the best stuff was not being siphoned off, making this one of the better Syliphone long players. Note: original download was missing tracks two and three, link has been corrected as of 07/23. Believe me, you need the whole enchilada. Steve Reich was one of the early musicians that fell into the loose genre eventually known as "minimalism", which may be a bit of an unfortunate name, but it will do. There can be considerable argument as to the origin of this type of music, and it could easily be said that numerous Asian cultures have been using drone-like musics for millennia. Certainly, Terry Riley started in the very early 1960s, and his contemporary LaMonte Young brought a great deal of force to this movement when he involved powerhouses such as the young John Cale and Tony Conrad in New York in 1964. But these were musicians playing instruments. Steve Reich loved his tape machine. His earliest works, Come Out and It's Gonna Rain both employed spoken word with multiple copies repeated continuously at ever-so-slightly different speeds and allowed to run in and out of phase with each other. Come Out uses the simple phrase "come out to show them" and runs it for 10 minutes or so. It's Gonna Rain has 2 parts of about that length, the first uses the simple "it's gonna rain" while part 2 utilizes at least half a dozen fragments of a few words each, and weaves them all over each other. Magnificent! It takes up the entire album side of a Columbia Masterworks LP. While Come Out is often cited because it is simpler and was released first, I favor It's Gonna Rain because of its greater depth and complexity. 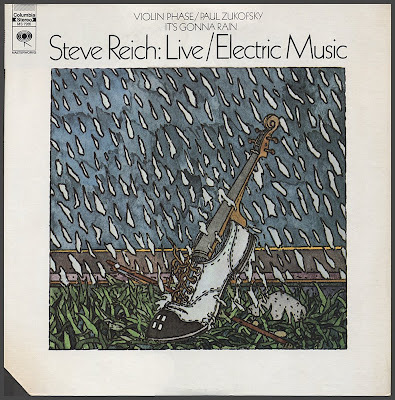 The other side of the vinyl LP Live/Electric Music is Violin Phase featuring Paul Zukofsky. I love this piece and consider it one of the towering masterpieces in all of minimalist music. It is grand, stately, and a perfect meditative tempo. Tragically and unconscionably, when the CD was released, the piece was re-recorded at a hyper-frantic tempo! It sounds ridiculous, and I cannot forgive Reich for utterly ruining one of his masterpieces! It sounds like he took the original 33rpm and played it, not at 45rpm, but at 78rpm. Heinous!